Social media has created a bit of a phenom called “Throwback Thursday.” It used to be that you would post something that happened on the same day, but years ago. Now it seems it’s anything that happened in the past. We want to take you back to this week… 2011. In 2011 the roundup machine was in full swing. 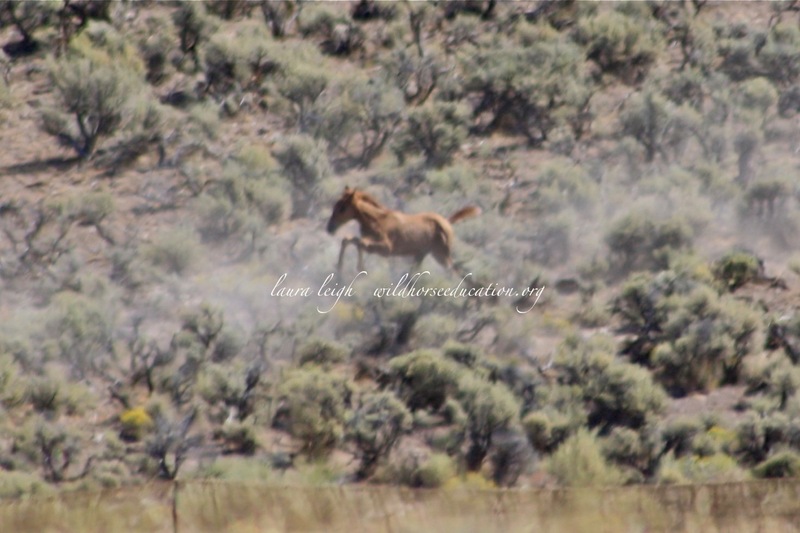 During this same week in 2011 WHE had just witnessed the Kiger/Riddle, ran into Sheldon, chased a “trespass” roundup that was unannounced, went back into Sheldon as a roundup was rumored and then left for Triple B. A post published “It’s Sunday, I think” became a joke among BLM employees and Laura Leigh, founder of WHE. When you are at a roundup or on the range days of the week don’t have the same meaning they do for others. You are working every day and it all blends together. After this post Leigh went on a grueling 40 day marathon of observation in Ely/Elko at Triple B and all night drives to Reno to prepare documents for court. That case gave us the first Temporary Restraining Order in the history of the Act to conduct. When you spend as much time on the road as I do, days of the week become irrelevant. Each day is the same. Driving, documenting and trying to find internet anywhere long enough to get information out. Trying to get all the documents read that I need to review and get back out to others. Trying to finish reports and articles and get the data from each roundup and survey logged. Trying to get the grit out of my teeth. The layers of road dirt inside and out of my truck are like the rings on a tree. I can see my fingerprints from past journeys that cut through a layer to be partially covered by the next… the ones from past journeys harder to see than the newer ones. I never stay still long enough… do not have a place to unload and clean the truck to remove the signs of travel. And in the “spend energy on this task” department, it’s not high on the list. The comments on Calico are due tomorrow. I sent out a fast version a few weeks ago that was published in a “click and send” on another site… but will add my comments in a pdf to WHE later tonight. I will get the “report” up on the Kiger/Riddle into the WHE archive later tonight. I remembered to call my mom and kids… to let then know that I haven’t been bitten by a rattlesnake, broken down in the desert or wandering, having forgotten my name from sunstroke… yet. You all know I have a long history with the now titled “Tri-State Calico Complex.” I have been out documenting what I can find… and it’s breaking my heart. Sheldon is now part of that Complex but nothing has changed. 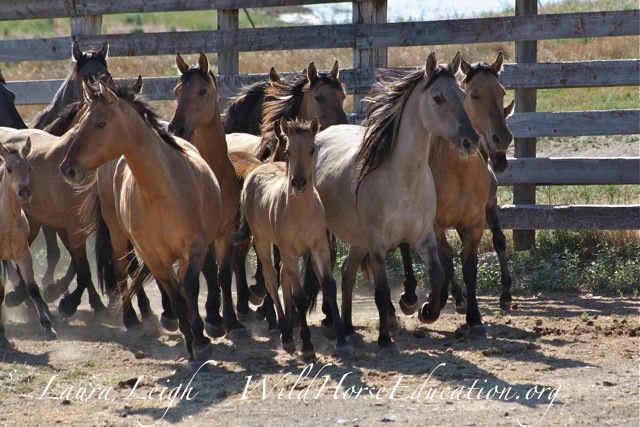 The horses are still being secretly rounded up and the fertility experiments are happening as the horses disappear likely to slaughter. … but for “Sunday” post something to make you smile. 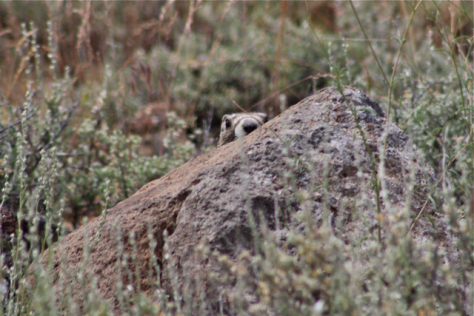 I played “hide-and-seek” with a marmot… I let him believe he won.